Organic lavender essential oil sourced from France is combined with lavender flowers to calm and soothe the skin, the senses, and the spirit. The perfect gift for any lavender lover. 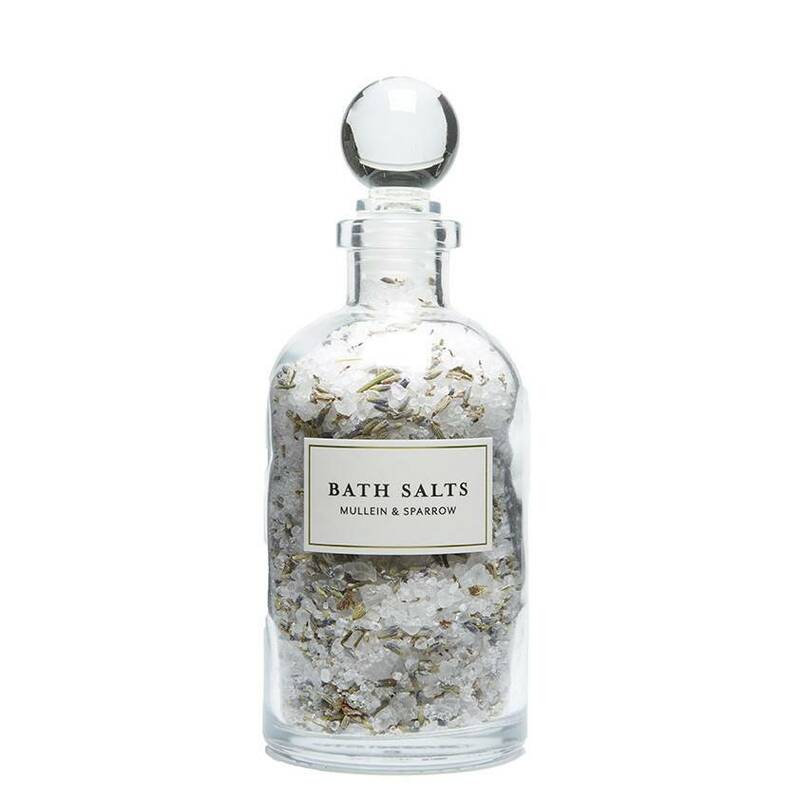 Mineral-rich salt crystals replenish vital nutrients, aid in the relief of tired muscles and joints, while lavender aromatherapy transcends the moment from a bath to a meditative experience. *For an additional aromatherapy boost, we recommend pairing with our French Lavender Body Oil for use in bathwater, or on the skin directly after the bath.